Alex McMullen of McMullen & Drury, P.A. 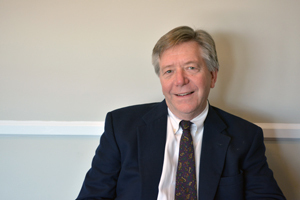 spends most of his waking hours providing legal services for medical malpractice, estate planning and estate administration, nursing home malpractice, bankruptcy law in Towson, Essex and beautiful downtown Glen Burnie. Mr. McMullen is frequently a court-appointed mediator for the Baltimore County Orphan’s Court. For greater than three years, Mr. McMullen has had an AV Rating by his peers and clientele. Some of Mr. McMullen’s client reviews can be viewed here. Mr. McMullen graduated in 1987 from the University of Baltimore with both a Juris Doctorate and a Master of Business Administration. Mr. McMullen has taught law in the undergraduate programs at the University of Maryland, Baltimore, Stevenson University and the University of Baltimore. Prior to becoming a lawyer in the mid 1980’s, he was an R.N. in Thailand with World Vision International, worked as an R.N. in D.C.’s projects and Holy Cross Hospital. Mr. McMullen has coached greater than ten seasons of little league sports. Mr. McMullen is active in his church, Trinity Church of of Joppa, Maryland. Mr. McMullen lives in Fallston, Maryland with his wife, four kids, and two dogs. The dogs are the ones that love and understand him the best.